DōTerra is one of the more well-known essential oils companies available on the market today. The name “dōTERRA®” comes from the Latin meaning of “Gift of the Earth”. 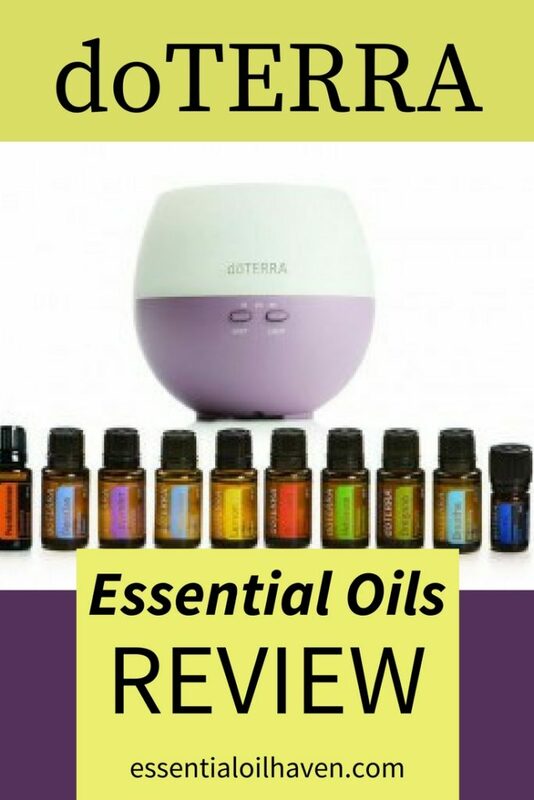 Agreed – it is a little bit hard to spell, and many variations of the name exist: doTerra, doterra, dōTERRA, dōterra… They’re all the same and I hope to not use any one of them wrongly and offend anyone in this doTerra essential oils review article. The dōTERRA essential oil company was founded in the spring of 2008 by a group of 7 founding health-care and business professionals who concluded that with commitment, hard work, and the help of others with similar passion and vision, they could and would bring a new standard of therapeutic-grade essential oils to the world. You might find it interesting that four of the founding doTERRA professionals were former Young Living employees. Of course, this didn’t exactly go over so well, and Young Living started a lawsuit – but the five-year battle between Young Living and doTERRA finally ended in 2017 in dismissal¹, where charges against doTerra were removed². These professionals all shared personal experiences with the profound life-enhancing benefits of essential oils, so they wanted to create an essential oil product that would appeal to all people – from those knowing nothing of essential oils, to those who considered themselves experts in the field. As many of the dōTERRA essential oils are sourced in developing countries, dōTERRA has created their “Co-Impact Sourcing™” program, which serves to work towards improving lives and communities throughout the world. The program helps create alliances or coalitions of growers and distillers that ensure local communities receive fair and timely payments to support their families and communities. dōTERRA works with these coalitions to provide the resources, tools, and training necessary to ensure a long-lasting partnership. 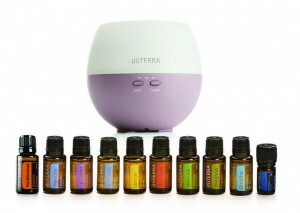 The dōTerra Home Essentials starter kit includes the pedal diffuser and 10 essential oils. However, it is important to note that dōTERRA actually “owns” this name, “Certified Pure Therapeutic Grade (CPTG)”, and that it’s not actually a certification given out by an independent third party. Yes, it is a very good process and list of standards, but it is still a proprietary term to dōTERRA, which leaves the question open of how much of it is marketing hype, and how much of it is actually based on caring for the natural qualities of the plants and elements going into the distillation of an essential oil. As you can see, it all sounds good, and I am sure it is. It’s just not independently tested, and therefore, in my opinion, holds less weight as you might initially believe it does. It’s just another doTerra house-internal way to make their oils stand out in some way in contrast to other essential oil companies and brands. So- Are dōTERRA Essential Oils 100% Pure? Strangely enough, doTerra never mentions the fact that their oils are “100% Pure” essential oils. They also don’t use the marketing language of “100% natural”, or “100% therapeutic grade”. No mention of the “100%” is used. They call their oils “Certified Pure Therapeutic Grade (CPTG)”, but as mentioned above, this is their own certification standard. Now before you think that this is all bad and you shouldn’t buy from doTerra, let me put this in perspective: NOBODY governs the term, “100% pure”. Or “therapeutic grade”, for that matter. Essential oil companies are all self-regulated, and nobody overlooks their business activities other than lawyers and accountants, and then it’s for business’ sake and not for the sake of health and wellness. The essential oil industry is not FDA regulated. Therefore, it’s back onto the backs of each individual essential oil company, how they carry out their quality and testing protocol. What sorts of distillers do they use? Where do they establish relationships and what kinds of quality standards to they put in place? Answering those questions for doTerra, again puts doTerra into the leadership board of essential oil companies. DoTerra cares about quality and testing, and I personally trust their staff and company to deliver an outstanding essential oil product to the marketplace. Is it safe to ingest Eden’s Garden essential oils? Are dōTERRA Oils Certified Organic? dōTERRA‘s quality standard for essential oils, CPTG Certified Pure Therapeutic Grade®, actually exceeds essential oil industry standards. Because organic certification varies from country to country, province to province, and in the US, from state to state, it is not currently possible to acquire all oils under certified organic status. Where Does dōTERRA Get Their Oils From? doTERRA sources their raw materials for essential oil products in communities across the globe. Many source countries are also developing countries, and doTERRA has made a “Co-Impact Sourcing®” promise. This promise includes establishing coalitions of growers and distillers, which in turn helps ensure local businesses receive the necessary tools, resources, and training to ensure a long-lasting relationship with doTERRA. It also includes offering fair and timely payment to source partners, so they can sustain and grow their respective families and communities. The doTerra essential oil company today not only offers essential oils and proprietary oil blends, but also nutritional, spa, and healthy living products based on a well-rounded wellness philosophy. It’s great that they don’t just have one product on the market! 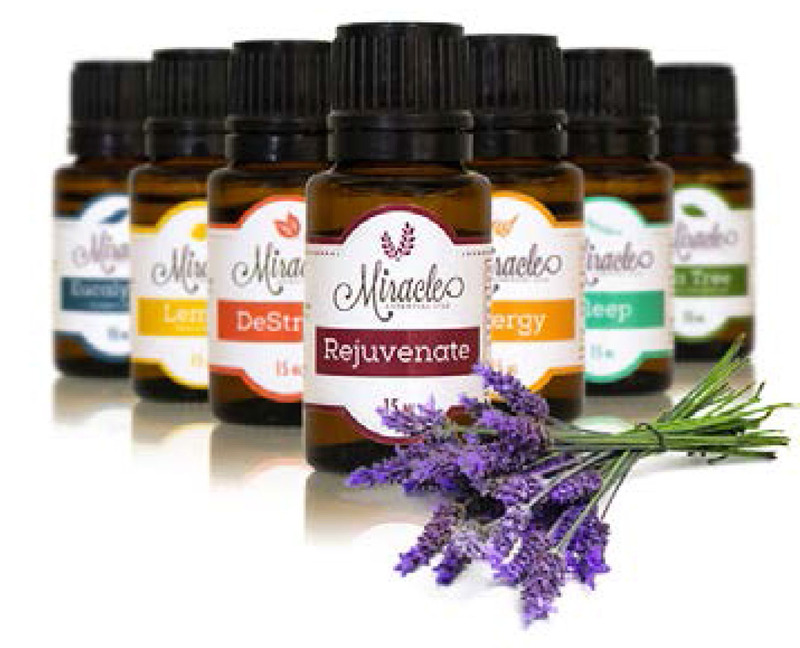 Their essential oils collection to-date includes 42 single oils and 19 blends for targeted wellness applications. Most oils come in a standard variety of either a 5ml or a 15ml bottle, some products are already pre-packaged in a roll-on bottle/stick for easy application to the skin or pressure points. Make sure you check the ml details before you price-compare or shop around! If you’re looking for a dōTERRA essential oil starter kit, have a look at this blog post here. You can start with a set of 3 oils for just around $20 on amazon, or get the whole Home Essentials package deal including an essential oil diffuser for a bit over $280. 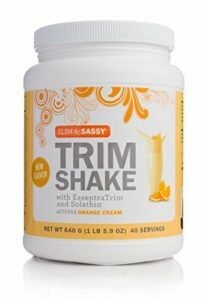 I just thought it was an interesting note that you can also buy weight management products and other supplements from doTERRA. While I am in no way a qualified nutritionist to advise you on the use of vitamins and other health supplements, dietary supplements can support the body’s natural functions and provide essentials nutrients – and I use them daily myself. I just found it an interesting point while reviewing doTERRA as a company and brand and it is something I would definitely say sets them apart from other companies that solely focus their efforts on essential oils – whether that’s in a good way or bad way, I’ll let you decide! dōTERRA oils will be among the more expensive essential oils that you can buy. Each oil is subjected to strict standards of purity and potency as well as an array of thorough testing. A lot of scientific research and resources are put into making these oils. But before you price-compare, make sure you check the amount that is included in each bottle. Some essential oils come in 5 ml, 10 ml, or 15 ml bottles respectively! That can make a huge difference in the price point. Essentially, oils are very costly in general, because large amounts of raw materials must make small quantities of essential oils. Since oils can have a huge effect on our wellness and overall well-being, the price might at times be worth it. And since there are lots and lots of different essential oils out there, there’s really no need to get all of them. If you get a good starter set that can help you with most of the common ailments and needs for home remedies, I think that’s a great start. You can expand your collection for more specific needs later. Overall, I like dōTERRA essential oils. Yes, so they’ve come up with their own “therapeutic grade” certification process. At least it’s an honest standard where they don’t add chemicals (very important), and treat farmers and distillers in other countries fairly. If it’s in your budget, give dōTERRA essential oils a try! Fantastic posts here! Very interesting responses. Awesome job! HI there, I like your overview of the oils and want to thank you for this detailed work! I was looking for the best quality oil to start with and came across Dr. Axe’s recommendation of doTerra oils. When I emailed him and asked which brand and why he personally recommends he answered doTerra and gave an explanation as to why he does so. Ifyou dont mind getting back to me, I would love to hear what you think. I work in Dr. Axe’s organization and he asked me to get back with you and make sure I get all your questions answered. In response to your question about Young Living – we only stand behind doTERRA. There are several reasons why, some are listed below. I actually used to use YL until Dr. Axe shared his research which proves doTERRA to be the absolute purest on the market. If you like Young Living, you will absolutely LOVE doTERRA – I promise it is a night and day difference! Dr. Axe has done extensive research on essential oils, (he has spoken with several of the big name / little name company’s) – and only stands behind doTERRA. I would be happy to share his journey and how he came to the decision that dōTERRA is the ONLY brand he uses and recommends. He even stopped production of his own essential oils and started using doTERRA! You really want to make sure you are using a pure, toxin free product when you are looking for true therapeutic value – you really don’t want to use any other company out there. There are many reasons as to why he is so passionate about dōTERRA!!! I would love to share more with you about his journey if you want to know more! Dr. Axe asked me to email you back regarding his preference for Essential Oils. My name is Stefanie and I am a health coach for Dr. Josh! Regarding your question, Dr. Axe uses and recommends doTERRA essential oils based on their purity, sourcing, and 3rd party testing. The results and effectiveness of doTERRA essential oils are powerful! Dr. Axe takes two drops of doTERRA frankincense under his tongue daily, so do I. He doesn’t recommend ingesting oils from any other company. I was actually introduced to oils through YL but then Dr. Axe introduced me to doTERRA. They are very different oils and companies. One of the main reasons they are different is that doTERRA sources their oils from where each plant is indigenous verses growing their own fields and plants in an environment that is not native to the plant. It’s like going to Hawaii and eating a pineapple where they are native, then going to Michigan and eating a pineapple grown there. It’s going to taste a lot different due to soil, climate, elevation, etc. I highly recommend trying doTERRA and seeing for yourself! Also the pricing is a little less than YL and the rewards program is incredible. The more you research the more you will get confused online because there is so much false information being spread. doTERRA’s CPTG grade is a big reason why Dr. Axe uses doTERRA for the highest quality essential oils sourced from around the world where each oil is indigenous. Lavender from Mexico is different than lavender from France due to soil, climate, elevation, etc. Does that make sense? For absolute safety and purity, you want to purchase the oils directly from doTERRA through the Dr. Axe team. It makes a huge difference who you enroll with because of the support you will get. You can get the lowest pricing as a wholesale member, which is what everyone does because you save 25-55% off retail! I can show you how to do this. We also have a private facebook group filled with oil experts where you can post oil questions. I can add you after you enroll, it’s awesome! Would you like me to send over pricing and the starter kits Dr. Axe recommends!? Are there any health ailments you would like to address using essential oils? I’m happy to set up a call with you or we can dialogue by email, which do you prefer? So how do we know Dr. Axe isn’t promoting them for his pocket since it is a pyramid type company? I have a friend trying to get me to buy under her in Young Living. I’m highly considering Eden’s Garden because you can buy it directly from the company, and you gave it excellent reviews. I’d love to know your response to Claudia’s and my concern. I agree with you Stephanie, I’ve used 4 brands of oils including Doterra and Young Living. After 18 months of personal use and research I chose Young Living. I do not sell per se. I share my experience and if someone wants to start a oil journey I help them but basically I’m in it for personal use. I love how oils have helped my health and skin. I am a happy oiler. I think by now most people know Doterra branched out from Young Living. Young Living is the most trusted company I have been using them for over 20 years. Not saying Doterra is a bad company, but I believe most of their oils were taken from Young Living. Just some adjustments and name changes. The reason why they decided to start dõTERRA was because they saw things at YL that were not be done the right way, so they improved the quality, purity and sourcing to make the oils even better. Well for me that says it all! That´s why I only consume Doterra essential oils. I think with either DT or YL, enrolling under someone else is a way to become part of their team of support and resources. I know I have benefited immensely from my YL leadership team who have years, and even decades, of experience and are able to provide helpful and knowledgeable responses to any question or issue I have. My team has been an invaluable resource in my wellness journey. I have heard that not all teams are like that, unfortunately. However, if the supportive and informative team aspect turns you off, you can sign up directly with the company and not have a sponsor or enroller above you. Dr. Josh Axe has gone out on his own (with Jordan Rubin) to create their own essential oil label-so he no longer promotes doTERRA. The people who started doTERRA left Young Living because wanted to create a different model. They purposefully did not take any oils from Young Living because they wanted to start over and do their own unique process. Young Living has great oils, but it’s important to note that doTERRA had no intention of “taking their oils from Young Living.” It was, in fact, the opposite. Finally, it is correct that CPTG is doTERRA’s own name given for their testing process. However, it is incorrect that CPTG is not done by an independent group. The issue has been that doTERRA has not be transparent about WHO that group is. I personally checked into this because I wanted to know what the deal was. The response was that they valued their testing process so highly that they did not want to provide the name of the company who did it, so that they could keep the process completely proprietary. I get it, but I still wanted more, since you are, at that point, just going off of what they say. This year they did come out with a tool called “Source To You”, in which you can enter the lot # from each bottle. When you do this, the testing results for that batch is provided to you. That way, you can see exactly how the oil tested out without them having to come out and say who did the testing. In addition, they have provided the names of each test that company does (heavy metals, synthetics, pesticides, etc etc, there are 19 total test they run on each batch of each oil). Finally, I think it is a huge plus that doTERRA sources each oil from the area of the world that plant grows the best. I’d rather they do not grow all their own plants here in the US, because then the majority of their plants would not be thriving in the location that is indigenous to each plant. I love their Co-Impact Sourcing model, which benefit the customer due to the highest possible quality, but also the growers, who are provided with fair, on time, consistent payment, plus they are provided with their deepest needs (water sourcing, schools, etc) so that they can become more and more independent. The reviewer on this site was entirely correct about this process. There are many companies out there that sell good quality essential oils; I’ve used multiple brands and am comfortable with many of them. However, you’d be hard pressed to find a testing model that is as thorough and rigorous as doTERRA. I know it sounds like ( and it’s probably partly true) all I am trying to do is promote doTERRA, but more than that, I am hoping to clarify any questions people have about them, and clarify about their testing process. People count on reviews like this, provided by Essential Oil Haven, but the reviews really should be accurate and researched. Jen I completely agree. Although I am not a doTERRA wellness advocate, I have a friend who is and I have researched this to death myself. They are absolutely third party tested which no other oil company is. They also do a lot to help the countries they source the oils from and have a fair compensation plan so this also adds to the price. You should really edit your review to reflect the truth. I’m definitely not a fan. Their frankincense doesn’t smell right to me and I’ve had raw resin that I’ve peeled off of tree bark from Ethiopia. I also don’t like that bottles dispense too many droplets uncontrolled, leading me to believe that it’s a dishonest practice to make the oil use faster and buy more frequently. I want to be able to count the droplets when I use oils and make body butters and other things. I have about 10 doterra oils, but only because they have been convenient because a friend sells them. I recently bought copaiba and it lacks much smell. Maybe that’s normal because I haven’t ever smelled it before. Needless to say that I am extremely dissatisfied with their frankincense. If you apply some and wait a couple hours, the smell is nasty. It’s not very piney. I just want the most pure oils so I’ll try edens garden or young living now. The application process (rapid dispersion)of doterra is what proves to me that their integrity is not on point. Also that I’m disappointed with a couple oils. I’ll pay any price for the best, so price doesn’t matter. People buy into doterra so much that they get offended when I’m not happy with their products. Their vested interest is a shame because I’m not trying to offend anybody, I only am sharing my opinions and doterra is not my favorite. I’d rather buy aura cacia frankincense from Whole Foods, which saddens me. Any recommendations on which oil company is the best overall? I think you need to goes where your nose wants. Some oils are thick and do not come out of the bottle as easily. Oils have different consistencies. Once you are aware of this, then you are more careful when dispensing. You can also take off the plastic cap and use a clean dropper. Just don’t cross use your dropper. 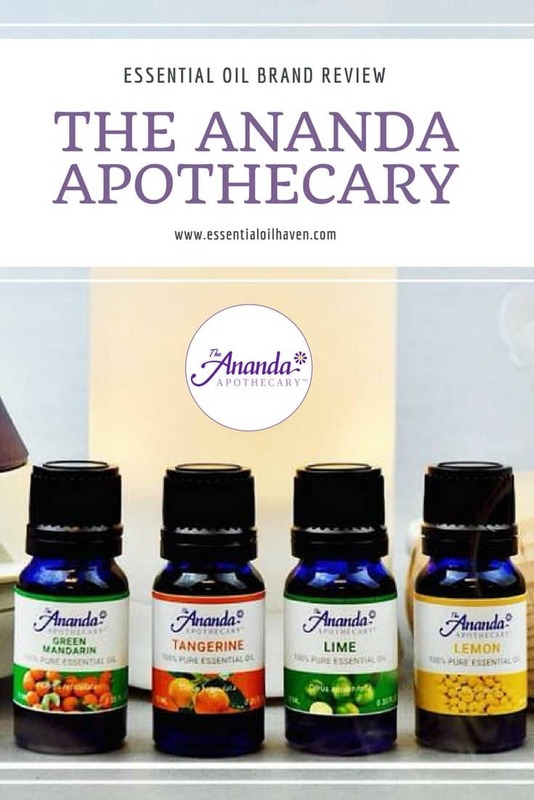 Wow I’m loving the feedback here- so helpful for me as I’ve been trying to work out which is the best essential oils company. So I’m just going to point out something so blatantly obvious to me- DT have never once said they are a 100% essential oil. Why is this?! Yes they have their own certification, big whoop. Why are they not ever acknowledging the 100% thing? I’m blown away that no one has mentioned about this? I have a kit from DT and have noticed that the oils do not smell strong compared to others and once I’d done a little research I’ve realised that is probably because they are not 100% pure essential oils?? All other brand reviews on this site have told me that they are 100% pure essential oils. So right now, Edens Garden looks the best to me! Thank you Sarah. I had never heard of Edens Garden before. I just recently got involved with doTERRA through a friend, I was really just looking for an alternative to my Yankee Candles (I have a young son who likes to touch everything so I didn’t want him to burn the house down). I’ve now started seeing the benefits of essential oil use though and have been looking at different alternatives to the chemicals I unfortunately use in my day to day life. I bought a pet spray sheet from Aroma Tools and the flea and tick spray called for citronella oil which doTERRA doesn’t carry so I went over to Edens Garden and they have it, at a very affordable price too :). I’m excited to use it. I like the doTERRA products I have used so far like the shampoo and conditioner and there skin care line. But I’m always open to trying new companies. If the citronella oil works well I would definitely consider using the oils from Edens Garden instead. Thank you again. I noticed you didn’t give it a star rating like you did the other reviews, can I ask why? And what would you rate doterra oils? What about lagunamoon? 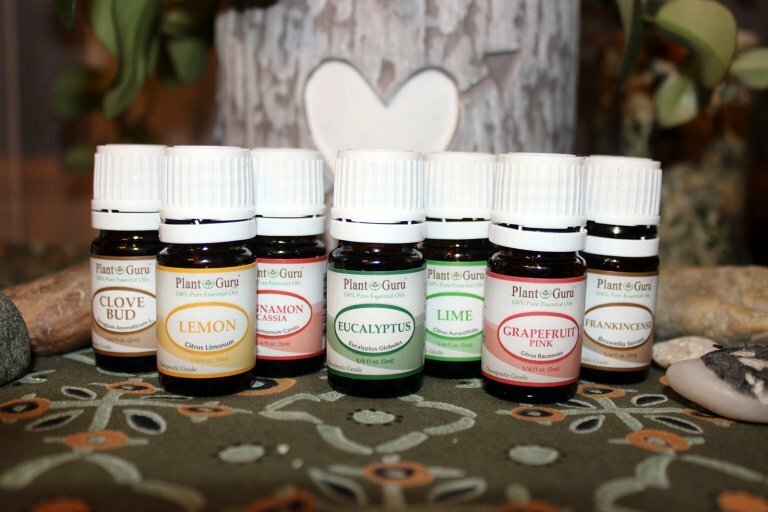 Recently my spouse won a gift pack of 5 oils. How do they compare to doTerra? Hi Toni, I’ll have to look into that more. I haven’t heard of Lagunamoon yet. I really appreciate your input, since starting using DoTERRA oils, internally I feel that they’re the only one I can trust. I admit that is what I hear among the persons who use them. What I dislike is that you have to buy every month to get points, rebats. Plus you feel like you have to encourage people, under you to continue spending. I do feel their is some pressure there. Hi Sylvie, I don’t know much about doTERRA but I do know that you can have a wholesale account and buy what you want anytime at a 25% discount without having to sell anything. I know this because I have a wholesale account for over 6 weeks and haven’t been pressured to sell or order more to get points or anything. I think, from what I understand, it’s the plan you sign up with in doTERRA. With Doterra you also accumulate, every dollar spend will convert in points that will lead you to get extra free oils every month, even the cost of the postage is converted in points 🙂 . You are exactly correct about doTerra. I use their oils and I have never been pressured to order, and I get them at wholesale price. I like the DT products, but am unhappy with their customer service. I recently asked if I could find a wellness advocate closer to my home. The one that I started with has joined with another team and it is farther away. I know there are advocates close to where I live. The answer was “no”. I would have to create a retail account and be inactive under my account for 6 months before I could do this. So. if I am not allowed to choose where I learn from…. Plant Therapy looks good tome. Less expensive, no rules, and no middle man. I was just reading review sights that mentioned Beechwood Essential and the purity of their product. I have yet to use them just found their site. Their chart shows a bit better quality than doterra and young living (which I have bought from both). Have you had experience with Beechwood? I am glad to see another company mentioned here. The decision process really is not just between YL and Doterra. 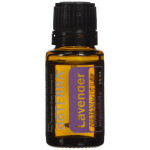 I use SOME Doterra, good product WAY overpriced in some oils! I prefer a small company with equally very high quality oil for far more reasonable prices! I believe doTERRA oils are now 3rd Party verified and they regularly reject batches of oil that are only 98-99% pure. Also, anyone can say their product is 100% pure but it doesn’t mean it is, its just marketing speak. At least doTERRA now has a website called Source To You (sourcetoyou.com) where you can enter the number on the bottom of the EO bottle and see the exact chemical composition of that batch/lot. I don’t know anyone else with this level of transparency or concern for the end user. For me the higher price is worth the peace of mind, especially when it comes to internal use.